Thank you for visiting Govberg Watch Repair. We truly appreciate your business and are dedicated to your continued satisfaction and loyalty. Govberg Watch Repair wants every visitor to enjoy our web site (the “Site”), and also must protect our own interests. Your satisfaction with our products, service and staff is very important to us. If you have any concerns or comments please contact us. We are glad to assist you. Govberg Watch Repair makes every effort to ensure the accuracy of all information that you receive in relation to your timepiece. All content included on this site, such as text, graphics, logos, button icons, images, data compilations, and software, is the property of Govberg Watch Repair or its content suppliers and protected by United States and international copyright laws. The compilation of all content on this site is the exclusive property of Govberg Watch Repair and protected by U.S. and international copyright laws. All software used on this site is the property of Govberg Watch Repair or its software suppliers and protected by United States and international copyright laws. We offer competitive pricing with all repairs while maintaining a full commitment to providing high quality watch repair service. The cost of repair work is based on an estimate, which is a professional determination of what is best for the repair of your watch, ascertained from the symptoms reported and conditions observed and evaluated by a skilled watchmaker. Govberg Watch Repair will not proceed with any repair work until we have the full consent of the client. We are unable to provide an estimated cost of repair until your watch has been received at our facility and properly evaluated by one of our skilled watchmakers, since each watch requiring service presents a unique series of conditions. Upon arrival at the Govberg Watch Repair facility, our skilled technicians will take a detailed inventory of the condition of your watch, while considering the symptoms reported by the client and all conditions personally observed, in order to provide an estimated cost and timeline to complete the necessary repair work. There is never a cost associated with producing a repair estimate. There are two sections to a GWR Estimate – Required Services and Optional Services. Required services are the minimum services required to repair your watch. Optional services may have also been recommended based on the condition or age of the watch. Client can APPROVE only the Required Services and DECLINE all Optional Services. Client can APPROVE the Required Services and all Optional Services. Client can APPROVE the Required Services and select Optional Services. Client can DECLINE both Required and Optional Services. Upon clicking the “accept estimate,” button, you will be required to provide payment. If you decide to decline service at the time of the initial estimate, we will send your un-repaired watch to the return address you entered on the initial input form. Pending no further damage to your watch (as judged by GWR watchmakers), we will honor the estimate for the 12 months following the initial estimate. Govberg Watch Repair will not initiate any repair work until receiving client approval and payment. Govberg Watch Repair will not perform service on any replica or fake timepiece. We value the craftsmanship and integrity inherent in the watchmaking industry, and therefore have decided to only perform service and repairs on authentic timepieces. Non-authentic watches may be confiscated and/or there will be a charge to return non-authentic watches. In addition, Govberg Watch Repair does not guarantee that we can repair your watch. Our watchmaker must first examine your timepiece to determine if the repair can indeed be completed successfully, and how much the repair will cost. Govberg cannot always return parts that are removed during the repair to the customer. Certain brands require old parts to be exhanged in order to purchase new parts. Govberg will accomodate requests to return parts whenever possible, but the option may not always be available. We make no guarantees or promises regarding the length of repair time. Due to the nature of the business, and the variable timelines of various parts suppliers, we can only provide general guidelines. By no means are these guidelines a guarantee or deadline. Once a repairs have been started on your watch, we are unable to process any requests for the watch to be returned or refunds granted regardless of any extensions to the estimated repair completion date. We may provide links to the sites of affiliated companies and certain other businesses. We are not responsible for examining or evaluating, and we do not warrant the offerings of, any of these businesses or individuals or the content of their Web sites. Govberg Watch Repair does not assume any responsibility or liability for the actions, product, and content of all these and any other third parties. You should carefully review their privacy statements and other conditions of use. Upon acceptance of our repair estimate, you will be required to pay with a credit card (MasterCard, Visa, Discover, American Express). Upon clicking the “accept estimate” and sending payment for the repair, you have made a legally binding agreement to proceed with the repair. If Govberg Watch Repair deems the watch un-repairable after payment, a full refund will be issued. In the event you require warranty service, no refunds are issued, but free warranty work is provided. Please note that all parts, straps, buckles, etc. are special-ordered from the manufacturer and are non-refundable once approved by the customer. Certain sections of our website will require you to register. If registration is requested, you agree to provide accurate, complete registration information. It is your responsibility to make any changes to that information. Each registration is for a single person only, unless specifically designated otherwise on the registration page. Govberg Watch Repair does not permit any other person using the registered sections under your name. You are responsible for preventing such unauthorized use. If you believe that there has been unauthorized use, you should contact us. Govberg Watch Repair offers complimentary insured return shipping (from our facility to shipping address in the continental US) for all completed repair jobs and declined repair estimates for watch brands that we service. Return shipments outside the lower 48 states must be paid for by the customer. Govberg Watch Repair does not ship to P.O. boxes. Govberg Watch Repair requires an adult signature for all approved repairs and declined repairs on watches worth $1,000 or more. For declined repairs of watches that are worth less then $1,000 in their current condition, Govberg Watch Repair may not require a signature for delivery and will not take responsibility for the watch if the courier reports the package as delivered. The customer may have the opportunity to purchase upgraded shipping on declined repairs if they want the courier to collect a signature upon delivery. Our shipping providers do not telephone prior to delivery packages, and we cannot guarantee the time of delivery. If you are not available to receive the delivery after three attempts, the package may be returned to us, at which point you are responsible for a payment to cover re-shipment. You may also be responsible to pay for return shipping on replica watches, digital watches, pocket watches, and watch brands that are not on our list of brands serviced. The evolution of sales tax regulations has changed the landscape for e-commerce businesses. For years, only businesses with nexus, a physical presence such as a storefront or office, in a state could be required by that state to register, collect, and remit sales tax. Following the June 2018 Supreme Court ruling in favor of the state in South Dakota v. Wayfair, sales tax exemption rules no longer apply. Each state is now developing formal requirements to address remote sales tax collection. WatchBox and Govberg have consulted with our advisors, and are in the process of registering to collect sales tax in several states as required. While we have been collecting sales tax in Pennsylvania, Ohio and Florida, as of February 1, 2019, we will begin collecting taxes in the following states: Colorado, Georgaia, Hawaii, Illinois, Louisiana, Massachusetts, Maine, Michigan, Minnesota, North Carolina, Nevada, New York, Utah, Washington, Wisconsin. We have initiated the registration process in another 10 states, and will begin collecting sales tax for residents of these states as soon as the registration is complete: Connecticut, Iowa, Indiana, Kentucky, Maryland, Rhode Island, Nebraska, South Carolina, New Jersey, Oklahoma. We will update you on our compliance with the state sales tax regulations, and welcome any questions you may have. Govberg Watch Repair is not responsible for watches that are lost or stolen in transit to our facility. GWR assumes liability from the time your watch is delivered to our facility until it is safely returned to you following the completed repair, or following your decision to decline repair services. If the value of your watch is $5,000 or under, you may purchase USPS Priority mail postage and insurance. To view Priority Mail rates, click here. 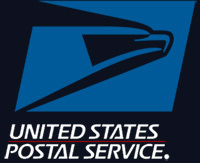 If the value of your watch is between $5,000 and $25,000, then you can use USPS Registered mail. To view Registered Mail rates, click here. To locate your nearest FedEx drop-off location, click here. Or call 1.800.GoFedEx (1.800.463.3339) to schedule a pick-up. To locate your nearest UPS drop-off location, click here. Or to schedule a pick-up, click here. Govberg Watch Repair will provide complimentary insured return shipping for completed repair jobs and watches with declined repair estimates shipped to the continental United States. The primary shipping courier employed by Govberg Watch Repair is Federal Express. FedEx shipments cannot be delivered to P.O. Boxes or APO/FPO addresses. We do not offer Saturday Delivery for FedEx shipments. Adult Signature is required upon delivery for all FedEx shipments. On its way back to you following repair, our insurance covers the replacement value of your watch only. Coverage is limited to the dollar amount you indicated on initial shipping forms, and is also limited to the actual value of the watch as assessed by industry professionals (not any number inputted). Should you decline our repair estimate, your watch is covered during its return shipment for its replacement value minus the cost of repair. If, in the judgment of Govberg Watch Repair, your watch cannot feasibly be repaired due to lack of access to necessary parts or labor, we will return the watch to you at our expense. In the event that you do not wish to proceed with a repair, and do not wish for us to ship it back to you, we will hold onto the un-repaired watch for a period of 12 months in case you change your mind regarding either the repair or the return shipment. After 12 months, your watch will be considered abandoned and will be retained by Govberg Watch Repair. Please review our Govberg Watch Repair Warranty, which governs all services performed by Govberg Watch Repair. If you are dissatisfied with the quality of the service performed, you must contact Govberg Watch Repair within seven days of receiving your repaired timepiece. If you are going to value your watch at a specific amount, it is your responsibility to defend this amount with a formal appraisal by a third party (jewelers) and/or with a receipt for the watch when purchased new. The “new” value of your watch may not be allowed as evidence of its current depreciated replacement value. If you use this site, you are responsible for maintaining the confidentiality of your account and password/repair job number, and for restricting access to your computer, and you agree to accept responsibility for all activities that occur under your account or password. Govberg Watch Repair does sell products or services for children, but it sells them to adults, who can purchase with a credit card. If you are under 18, you may use GovbergWatchRepair.com only with involvement of a parent or guardian. Govberg Watch Repair reserves the right to refuse service, terminate accounts, remove or edit content, or cancel service or orders in its sole discretion. Govberg Watch Repair and Govberg Jewelers, including its subsidiaries, affiliates, officers, agents and other partners and employees, accept no responsibility for the condition or identification of watches upon receipt. Govberg Watch Repair is not liable for damages related to products sold or the operation, content or use of our site. You agree that this limitation of liability is comprehensive and applies to all damages of any kind. Items are submitted to Govberg Watch Repair for repair only. We accept NO responsibility for loss, damage or theft unless said loss is due to our negligence. It is to be understood and agreed that Govberg Jewelers and Govberg Watch Repair will not assume or accept liability and will be held harmless for loss and damage by an inherent cause or a natural condition therein. Any loss, damage or theft will be LIMITED to the cost of repair or replacement of item(s), but WILL NOT EXCEED $3000 or the amount of your insurance deductible, whichever is less. Should no value be listed, the store liability will be LIMITED to $75.00. By using our site, you agree to indemnify and hold Govberg Watch Repair, its subsidiaries, affiliates, officers, agents and other partners and employees, harmless from any loss, liability, claim or demand, including reasonable attorneys’ fees, made by any third party due to or arising out of your use of our site, including providing a link to another site or uploading any content to our site.